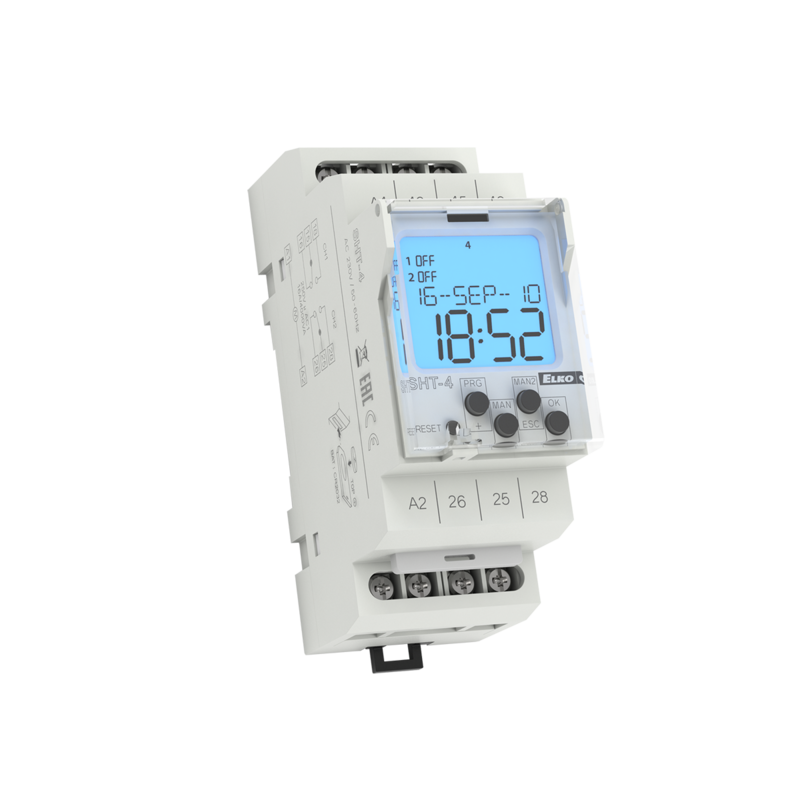 One of our top products is the SHT-4 timer switch. 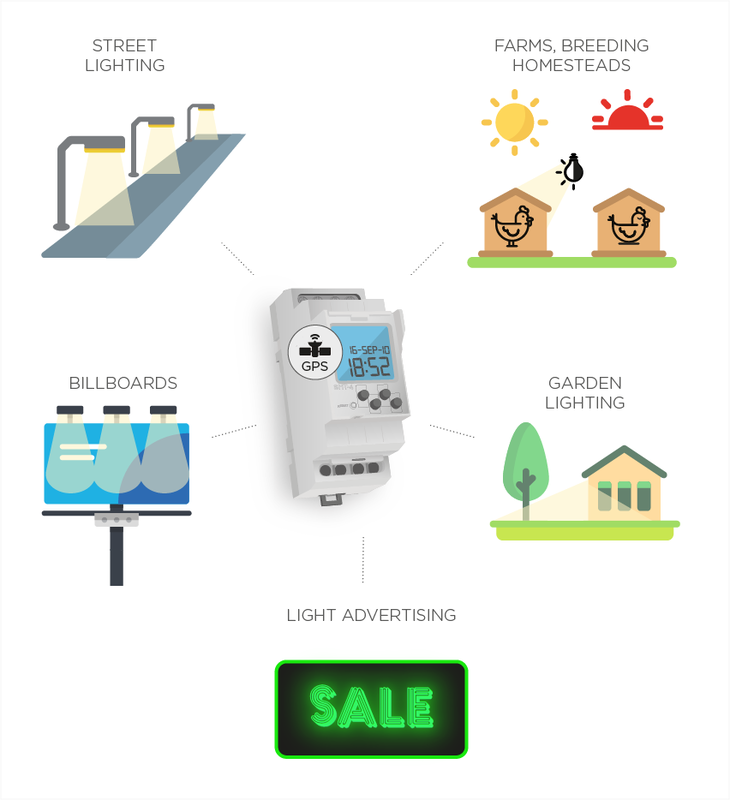 This relay replaces twilight switches and is used primarily to control the switching of outdoor lighting - for example, in shop windows, billboards and other advertising areas, for garden or public lighting. The SHT-4 does not need any additional light sensors, or sensors that can lose sensitivity with time, become a target of vandalism, need to be altered and can be complicated to install. Thanks to the astroprogram, the SHT-4 controls utilising the sunrise and sunset at the given location, by the specified coordinates. Pleasantly, you do not have to worry about anything. The clock automatically accounts for the twilight and dawn shift, according to the seasons and real time; it adjusts the switching time of the lights. It also switches between summer and winter time. If needed, you can manually add or remove up to 120 minutes to the switch-on time. This is useful if the sun sets in the summer, but there is still enough light. Simply set the switch on the specified time. Coordinates are pre-set in the device for selected large European cities, of course they can be manually edited and added. Thanks to the two-channel design, each channel can be programmed independently of each other. Backing up data and times with a battery that lasts up to three years, and thanks to the plug-in module, it can be easily replaced without removing the device. 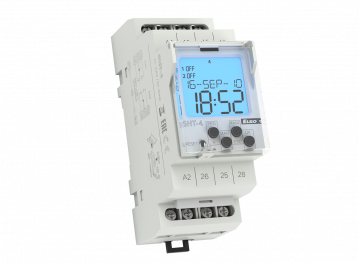 An interesting tip for using the SHT-4 timer is in combination with the DIM 2 dimmer. By combining these two products, you can imitate sunrise and sunset daylight using any bulb. This may be very useful for example on farms, breeders or aquarists. If you are looking for effective light control in outdoor areas, the SHT-4 is a great choice for you. For more information, please refer to our product details or catalogue of all our relays.